A total of 90 companies completed the Inclusive Top 50 UK Employers Survey in 2016. The following report looks as different statistics and trends based on organisations who submitted evidence for BAME, disability, gender and LGBT employers at senior, executive and board level roles, as well as internal diversity networks. Of the 90 surveys completed, LGBT focused networks had the highest percentage with 58.8% of all submissions running an internal LGBT network. With more than 10% difference, the second most common diversity related network was race at 46.6. Religion/faith related networks were the least common with only 20%, followed by disability at 38.8%. Gender related networks were cemented in the middle of the chart with 44.4% of all submissions running gender related networks. 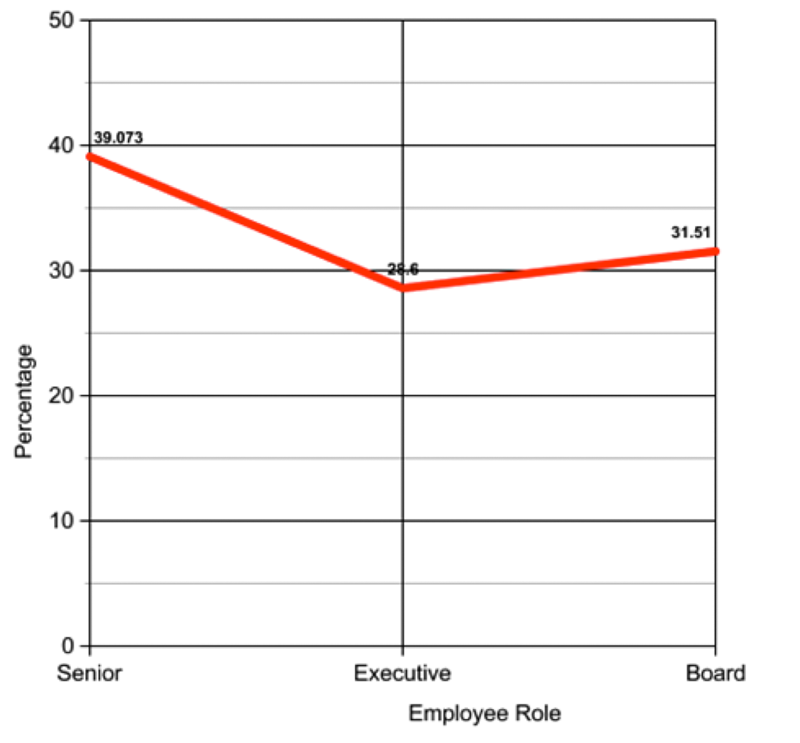 The least reported data on average at board level was LGBT, with 51.1% of employees not holding this information. The highest reported was gender with 80% of participants providing stats. The same trend appears for statistics at executive level, with LGBT the least reported (56.7) and gender the most (72.3). 40% of companies provided no data at all for LGBT at senior, executive or board level, compared to 92.3% of all submissions providing data for BAME and gender statistics. Senior level roles showed the highest percentage of BAME representation and the highest percentage of participants providing data. The least representation of BAME Employees was at executive level, with the lowest number of employers reporting board level statistics. Senior level roles showed the highest percentage of female representation and the highest percentage of participants providing data. The least representation of female employees was at executive level, with the lowest number of employers reporting executive level statistics. 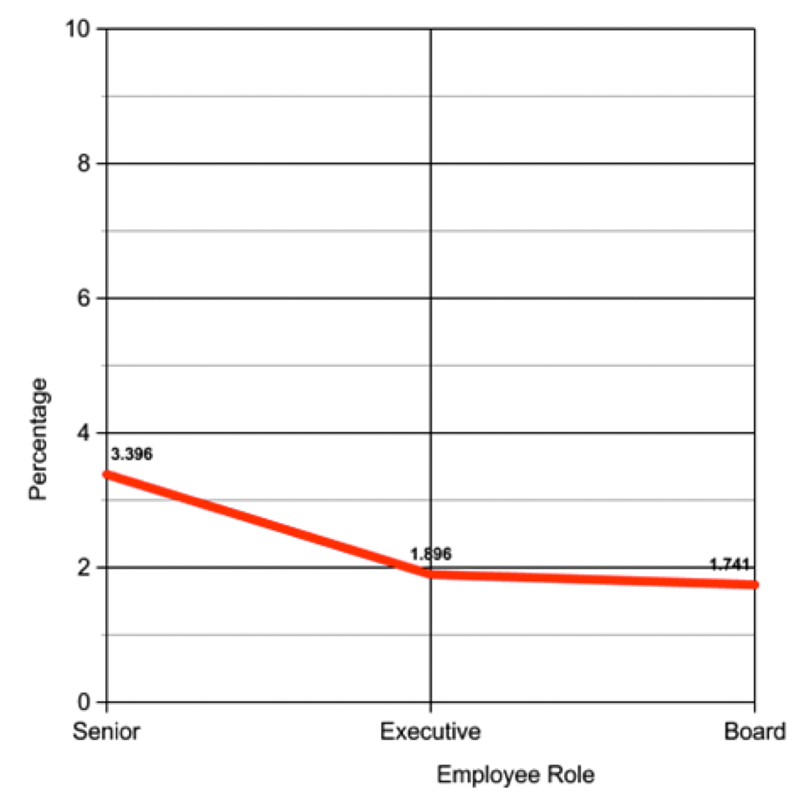 Board level roles showed the highest percentage of disability representation, however, the lowest number of employers reporting this data, with only 24.4% of participants submitting evidence. 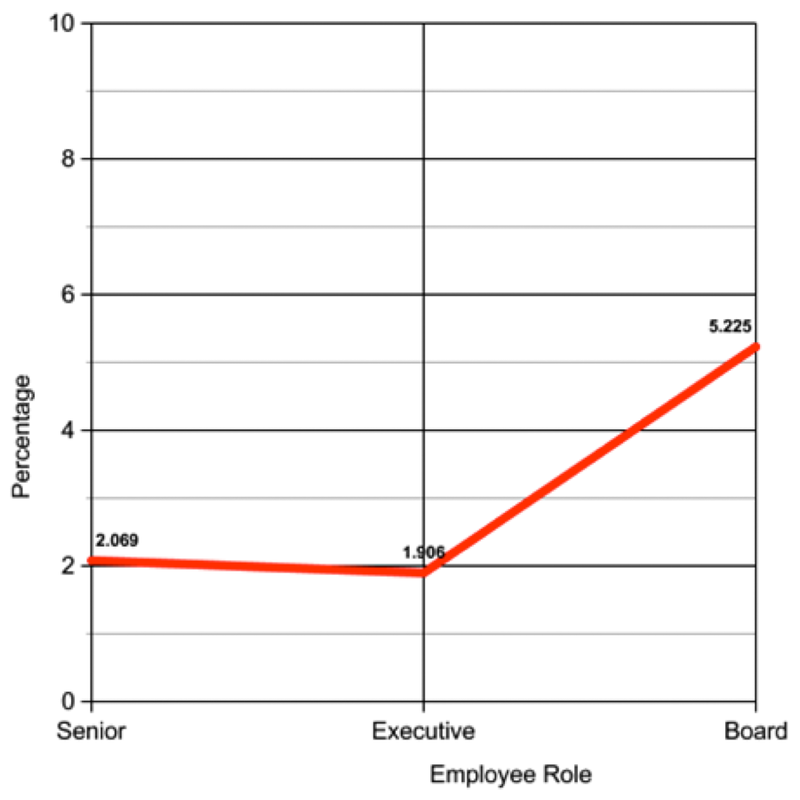 The lowest representation of disabled employees was at executive level, with the highest number of employers reporting senior level statistics. Senior level roles showed the highest percentage of LGBT representation, and the highest number of employers reporting this data. Only 25.5% of participants submitted evidence for board level, showcasing the least representation of LGBT employees at 1.741%. 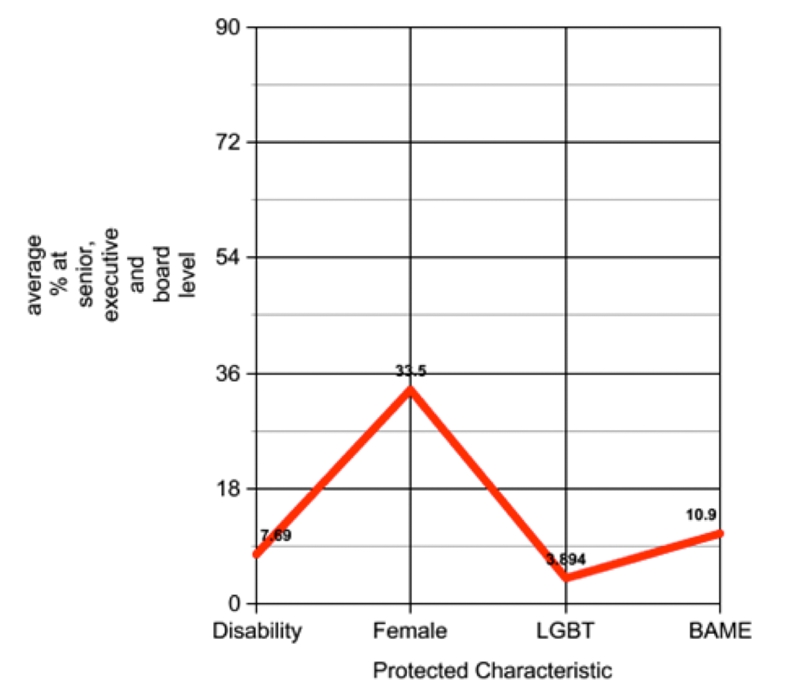 The lowest reported data at senior level was LGBT, with the highest being BAME and Gender. The lowest reported data at executive level was LGBT, with the highest being Disability. 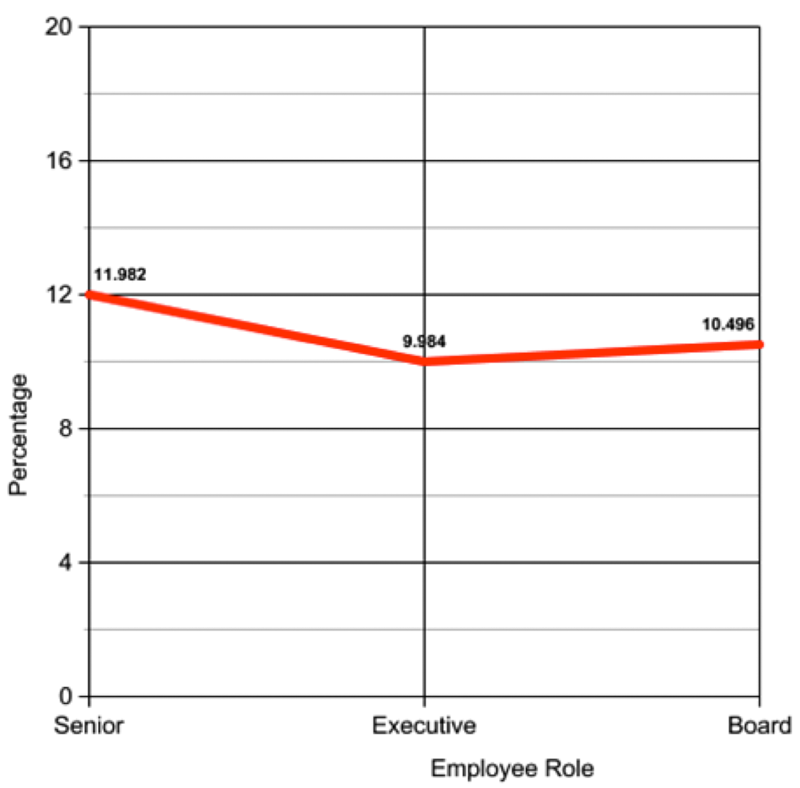 The lowest reported data at board level was Disability, with the highest being Gender. 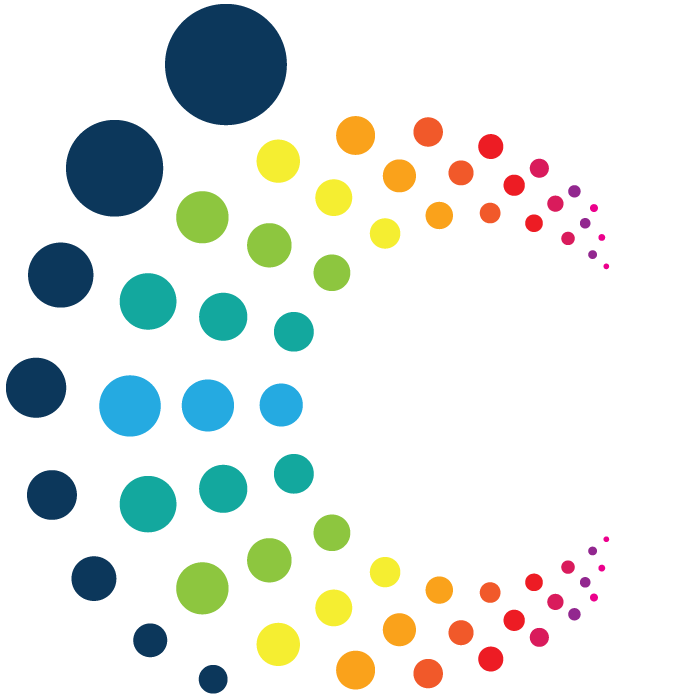 From the results we can see that LGBT and Disability statistics are still largely undeclared, so the results are not necessarily a true reflection of an organisations workforce diversity. 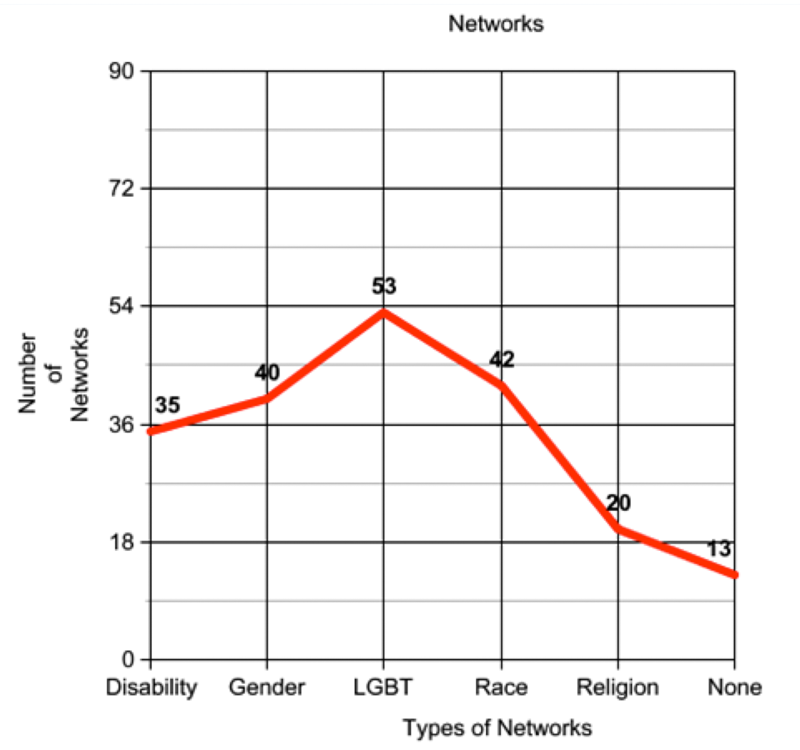 However, LGBT Networks are the most common internal diversity networks of our 90 submissions, suggesting that their statistics at senior, executive and board level are in fact higher than those reported.